Friendly Halloween ghost in graveyard with pumpkins and cute black cat. Happy Halloween. Count: 111 x 136. 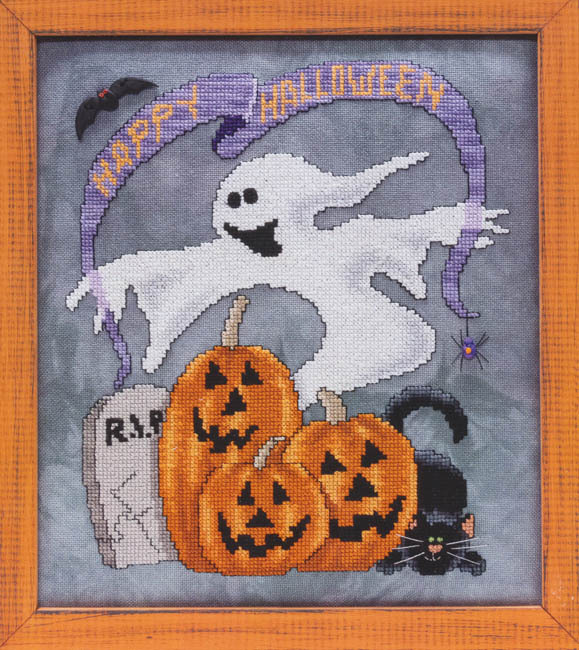 Model stitched on 28 count haunted Lugana by Picture This Plus.